Not the ideal way for a counseling session to begin, but John Sommers-Flanagan didn’t let his young client’s rebuff stop him. Instead of fighting back with a clever retort, however, he simply told the client she was 100 percent right. More recently, applying the resistant label has been frowned upon because it is viewed as blaming the client. Instead, Sommers-Flanagan says, words such as challenging, reluctant or precontemplative are used. “However, even though the intent of using these less pejorative terms with clients is positive, these words still lay some blame on clients for their ambivalence or for not being ready to accept the help the counselor has to offer,” he says. Rita Sommers-Flanagan, professor of counselor education at the University of Montana, concurs that mandated counseling can create a challenging situation, particularly if the client doesn’t perceive the need for it or embrace the potential benefits. “Similarly, youth whose parents are making them come or romantic partners who are only getting counseling because their partner threatened to leave are also examples of the less-than-enthused client,” she says. Challenging counseling situations can also stem from clients lacking the resources to make the changes they want to make or otherwise facing nearly insurmountable barriers, says Stephen Southern, president of the International Association of Marriage and Family Counselors, a division of ACA. Still other clients are simply unaware of what needs to be changed, he says. Whatever the situation, each client is unique and will thus have unique reasons for being defensive, John Sommers-Flanagan says. He points to Irvin Yalom, the group therapist who emphasizes that resistance and reluctance generally are associated with pain avoidance. 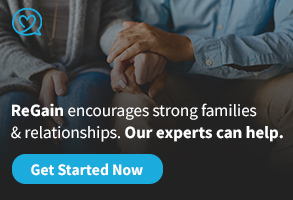 “If we start with the hypothesis that clients are challenging because they’re reluctant to face and deal with their emotional pain and then try to gently explore client strengths as a means for eventually approaching the pain, the counseling process is likely to proceed more smoothly,” Sommers-Flanagan says. Understanding the concept of change can also be a help to counselors, Southern adds, pointing out that James O. Prochaska and John C. Norcross described six stages of change: precontemplation, contemplation, preparation, action, maintenance and termination. “They emphasized that change is a process that evolves over time. At each stage of the behavior change process, different interventions can be matched to client needs to produce progress,” says Southern, professor and chair of the Department of Psychology and Counseling at Mississippi College. Among John Sommers-Flanagan’s preferred techniques are sharing or conceding power to the client, acknowledging the awkwardness and difficulty of counseling sessions, disclosing what he has heard or read about the client and sharing how his counseling approach does not include pressure. He also recommends maintaining a consistent focus on client strengths, engaging in active listening, using humor when appropriate and emphasizing that clients are the real experts on their own lives. Counseling Today asked various ACA members to share anecdotes about their experiences with challenging counseling situations or instances in which client progress appeared stalled. Read on for their lessons learned and how they and their clients reached a turning point in the counseling relationship. Rick Carroll is a counselor with the Children’s Advocacy Center of Bristol/Washington County, Va.
“While working with male adolescents in an outpatient counseling setting, I often encounter initial resistance with this population. Most male adolescents are the last ones to think they need ‘counseling,’ and this mind-set was no exception for ‘Billy.’ Billy was a 14-year-old who had experienced years of sexual abuse from his stepfather. Once the abuse was uncovered, Billy was removed from the home and placed in foster care. This young man was a) angry that he had to leave his home, especially when everyone told him he did nothing wrong and the abuse was not his fault; b) confused as to why he needed counseling; and c) embarrassed when confronted with the idea of having to disclose his sexual abuse experiences. Since Billy’s abuser was an adult male, the same as his new therapist, the transference was noticeable from the first session. After three tedious sessions of receiving only one-word answers — when he spoke at all — and minimal eye contact from Billy, the fourth visit proved to be our breakthrough session. After several failed attempts to make contact with the ball, he was able to ask for assistance, surrendering to the help of others. He became frustrated with his lack of ability but stayed in control of his anger. He was able to see another side of this therapist and trust this adult male enough to venture outside the familiar counseling setting, realizing not all adult males take advantage of children. He learned how golf mimics life — you have to play it where it lies, be aware of the hazards and understand that keeping focused and in control always produces better results. “In the late 1980s, I had been working with Susan, a 49-year-old woman with a history of bipolar disorder. At the time, I was a licensed mental health counselor in a group private practice and also working toward my doctoral degree. I was only four years out of graduate school and in a liminal stage between two diverse orientations: rational emotive behavior therapy (REBT) and solution-focused therapy. “Susan would have been a difficult client for an experienced counselor. Being relatively new in the field, I found myself working with an especially challenging client. Family crises and suicide threats were the norm for Susan. Change seemed to come slowly, if at all. “I thought for a moment and then I quickly agreed. ‘You’re right! It works both ways.’ And we shook on it. An air of cooperation suddenly spread through the room, and we proceeded to have the best session ever. “Later that week, I shared my experience with several colleagues. One colleague strongly disagreed with how I handled the situation and insisted that the counselor should always be in charge. I thought to myself that such thinking is the stuff that resistance is made of. “After this event, everything began to change in the counseling: Susan, the counseling relationship, me. Susan felt empowered. She enacted personal agency. The counseling shifted from an emphasis on problems to a focus on solutions. We were now organized around Susan’s strengths and resources rather than her weaknesses and limitations. I also found that I was liking my client more. But nothing had intrinsically changed about Susan. The difference was largely a shift of perception — of hers and mine. The potential for a collaborative counseling relationship was always there, as was Susan’s and my solution focus. Valerie Zaffos earned her master’s in mental health counseling and is doing her postgraduate internship at Jewish Family Services in Plantation, Fla.
“I like to describe ‘Joe’ as a ‘salty dog’ — a seaman through and through. Though debilitating physical injuries forced him to forgo his beloved work as a yachtsman and charter boat captain years before he entered therapy at age 53, Joe dressed the part anyway: a baseball cap with a logo for a marlin fishing tournament, jeans and a t-shirt that reeked of marina engine oil, even though it had been freshly laundered. He came for treatment of a major depressive episode triggered by recent stressful events, including loss of disability insurance, which in turn contributed to dire financial straits and the inability to procure narcotic-strength pain medications to manage chronic and debilitating knee, hip and shoulder injuries. “Our sessions followed a pattern almost from the get-go. Joe would recount a recent stressful event, start to feel the emotional pain and abruptly shift to racist rants on the societal issue of the day. It wore on me to witness them. Eventually, it dawned on me that the rants were Joe’s defense mechanism, allowing him to stay [one step removed] from his own sense of powerlessness and incompetence by projecting those judgments onto easier targets. It also helped that I was able to find other aspects of this client’s colorful personality to like. “‘I don’t want people to think I’m a bigot,’ he said. This admission led to a powerful discussion of Joe’s motivations, his fear of harsh judgment, his feelings of powerlessness. Ultimately, Joe discovered that he was not at the mercy of the wind. He could move under his own power and trust his decisions. Sandra Kakacek is an adjunct professor at Northern Illinois University and works in private practice in Maple Park, Ill.
“The journey of counseling new clients is always paved by eager anticipation and searching my therapeutic skills to provide the best interventions possible as the process of cocreating change unfolds. One client recently has been an excellent example of a challenge. The client and I needed to learn each other’s language to forge an understanding of desired outcomes and construct mechanisms for processing information. Throughout sessions, both the client and I continually checked and rechecked understandings. I learned the uniqueness of his ‘thinking,’ as I believe he did from me. “Sam is an older male in his 60s diagnosed with Asperger’s. He sought a unique, creative format for counseling to explore his newfound revelation that he emphatically repeated: ‘I think differently than most people.’ Sam sought counseling after a divorce [that followed] marital counseling. He spent four months researching to understand himself and his needs. He entered counseling with the goal of developing coping strategies to construct social relationships. “We engaged in experiential activities using equine-assisted counseling. Although I have had the pleasure of using equines for nine years for a myriad of mental issues and ages, I was amazed at the insights and awareness Sam gained rather quickly as he methodically worked with horses. He wrote copious notes following each session to chronicle the changes in his world and asked specific questions of me as he began to unravel how to adapt. “The first exercise was to observe the nonverbal dynamics of a small group of equines. Sam, with his hands tucked in his jeans, walked up to three horses. When the horses each moved away, he declared, ‘They ignore me like everyone else.’ His analytical and linear perceptions became metaphors for the changes he needed. “The turning point came during the sixth session. Sam was given the exercise of haltering a horse and moving him through an obstacle. Sam haltered the horse with some difficulty and, as he was walking the horse over an obstacle, the horse pushed into him. Sam’s reaction was, ‘Wow, I did not notice the horse so close to me. That is what happens to me all the time — at the store, at work and anytime I am around people.’ He began that day to become acutely aware of others’ nonverbal interactions. This eventually resulted in picking up not only people’s nonverbal communications but their verbal communications as well. The creative use of equine-assisted counseling provided a unique opportunity for change utilizing metaphorical properties. Louise Holzhauer is a member care counselor and registered mental health counselor intern with Orangewood Presbyterian Church in Maitland, Fla.
“Laura was my first long-term client after completing my master’s degree in counseling. I was nearly as frightened as she was when she arrived for her first appointment with the words ‘HELP ME’ carved into her ankle with a box cutter that she carried in her purse. Laura was deeply depressed and suicidal, anxious and dependent on everyone in her life, especially her husband, who was threatening divorce. She had suffered repeated sexual abuse as a child and believed that she was damaged beyond any value. “Laura began to make progress almost immediately on many fronts. She was on a journey of spiritual renewal, which challenged her with the truth of her own worthiness. She also attended group counseling for her past abuse. However, the biggest immediate change I saw in her came as the result of my impromptu suggestion that she try treating her husband as a stranger for one week. Previously, she had been unable to detach herself from him, working continuously to anticipate his needs, interpret his nonverbal cues, assume his emotions and stave off his criticism, real or imagined. “Recently, I worked with a very challenging couple. As with many couples, the intimacy in their relationship had deteriorated to the point where they were constantly arguing. Resentments were piling up. Sessions were heated, with one of the partners very angry because her intimacy needs had not been met for a very long time. The other partner seemed detached and unwilling to participate, although he reported that he still loved his partner and wanted to save the relationship. “I started out trying to conceptualize the etiology of the problem. I got a lot of ‘I don’t know’ and ‘I don’t remember’ responses. I tried externalizing the problem. That didn’t work either. I tried a listening exercise. Again, no. I tried nonphysical intimacy building — conversation starters, date night. Nope. At this point, one of the partners suddenly announced she wanted to separate. Things looked bleak. “I was having a difficult time trying to figure out exactly what was going on. I was able to identify a feedback pattern, which I discussed with the couple. Although I had a handle on how their interactions were exacerbating the problems in their relationship, both partners resisted making the necessary behavioral changes to break the cycle. I was stuck. Teri Echtenkamp is a child/adolescent program therapist with Alegent Health Systems in Omaha, Neb. “It’s not that I have a particular challenging client in mind but rather a challenging population that I work with. I am a child/adolescent inpatient acute care counselor and work in crisis stabilization with psychiatric clients and their families. “Inpatient acute care is a curious beast. The client is hospitalized usually three to five days and, for the most part, I only have the opportunity to have one family session. In the beginning, my focus was safety planning, home behavior contracts and discharge planning. Much continued conflict, negativity [and] lack of forward direction occurred and, many times, discharges had to be canceled due to the volatility of emotions. I struggled for at least six months with inadequacy, burnout and a lack of feeling much was achieved during these sessions. “Once I got off my pity pot, I started reading anything I could to enhance my understanding of family therapy and brief interventions and started applying integrative, solution-focused techniques. I actually found a miracle in a modified ‘miracle question.’ I ask the family to fast-forward 45 minutes and see themselves thinking, ‘That went good. That was productive, and I’m glad we met for a family session.’ Then I ask each individual, ‘What would have happened here?’ Mind you, I still use concrete interventions from a variety of approaches, including cognitive and behavioral. However, I have learned to focus on emotions versus behaviors, solutions versus problems, externalizing versus internalizing, exceptions to the rule versus rules, all of which I have found instill hope, empower and increase communication. “I once saw a man who was coming in because his partner said she would leave him if he did not. He was very closed and angry at first. He worked as a car mechanic and was very good at it. After empathizing with him about how bad it feels to be forced to do something, I asked him about how he had become a mechanic and how he had gotten such a great reputation. This allowed him to share some history that had nothing to do with the relationship problems. Helena Collins is a counselor working in private practice in Memphis, Tenn.
“‘Mr. M’ was a 31-year-old Spanish-speaking male who had attended my domestic violence group for court-ordered people about four years ago. Because of DV related matters Mr. M had separated from his 27-year-old Spanish-speaking wife, ‘Mrs. J.’ About four years after his completion of the 24 classes on domestic violence Mr. M sought counseling from me for depression, jealousy, mild domestic violence episodes and child visitation issues. During our second therapeutic meeting, Mr. M asked me if he could invite the mother of his two minor children to join him in therapy. I informed him that (it) would be appropriate if he wanted to work on issues related to child visitation or if he still wanted to try save their marriage. I further informed him that I would keep confidential everything he had already shared with me, except the exceptions for confidentially according to state laws, if his wife would join him in session. “The next weekly session, Mr. M arrived early at my office and introduced Mrs. J to me as the mother of his two minor children. From the first session, Mrs. J exhibited an overall shy personality type. I took a significantly long time explaining to her the informed consent prior to obtaining her signature. She informed me that she was going to place her signature below her husband’s — now separated — name because in their culture man comes first. I explained to her that since both of them were adults, I do not make such gender-based distinction. I further stated that she could even write/sign above his name and that such would not indicate that she was either in charge/control of him or would receive preferential treatment. “I lost one dear son when he was just 9, 31 years ago. It was too much for me. I excused myself and cried for a moment in the bathroom. I quickly composed myself prior entering the office and told them, ‘Yes, I am going to grant you such request of naming your child under one condition. That from this moment on you will promise to yourself, your wife and your children, including the one arriving in two days, that you will never again, under no circumstance, place your hands on this woman in an abusive manner or speak to her in a disrespectful way.’ He did swear to me that he would keep his promise. ‘Your son is going to be called Marcus Fabio, which is my dear son’s name,’ I said. The next day, I found myself shopping for a baby boy. Unfortunately, Dan died not long after I began researching treatments for nightmares and sleep disturbance. Saddened but undaunted, I continued the search, using this veteran’s penetrating cry for help as the galvanizing event to develop an effective approach for other clients who were suffering as Dan had. Ethically, counselors must practice within their areas of competency. This article describes the process three members of the American Counseling Association followed to gain the skills necessary to ethically treat nightmares associated with combat-related post-traumatic stress disorder. We engaged in research and training and became innovative in combining therapies to develop what we believe is an effective protocol for addressing this issue. While living with combat-related PTSD, Dan voiced a desperate need to eliminate the nightmare that repeatedly pierced his nights. His tormented cry became a rallying point for the clinic where he was treated. The clinic had many clients similar to Dan, but at that time, no specific treatment was available to address their nightmares directly. The general treatment was to use exposure therapy, based on emotional processing theory developed by Edna Foa and Michael Kozak in the mid-1980s. This consisted of addressing the trauma in detail, keeping the client’s reactions within a therapeutic range to neither underaccess the “fear structures” nor overwhelm the client. The purpose was to help the client develop a mastery of the fear and thus process traumatic events one at a time. Dr. Richard Ross led an investigation into PTSD and sleep in 1994, speculating that PTSD indeed might be considered a REM sleep disorder. While so doing, he and his team declared that nightmares were the “hallmark” of the disorder. In addition, Dr. Thomas Neylan and his team found that in a sample of 1,167 Vietnam veterans with PTSD, nearly 91 percent suffered significant disturbances to sleep. Armed with this information, I began researching REM sleep and discovered an exceptionally useful book that helped to explain sleep itself — J. Allan Hobson’s Dreaming: An Introduction to the Science of Sleep. This provided me the foundation I needed to delve deeper into the world of dreaming. These lessons would later form the core of the psychoeducational portion of an outpatient treatment program. Hobson’s book illuminated my understanding of the essence of dreaming and ignited some ideas for eliminating traumatic nightmares. According to Hobson, eliminating the nightmares would improve clients’ mood, concentration, learning and physical repair of the body and even enhance their immune systems. What was needed was a way to attack the nightmares themselves. Karin Thompson, Michelle Hamilton and Jeffrey West addressed traumatic nightmares in their 1995 work with the Veterans Affairs hospital in New Orleans, developing an inpatient protocol specifically for nightmares associated with combat-related PTSD. They applied a technique called imagery rehearsal therapy (IRT) developed by Barry Krakow and reported that one-third of their patients eliminated the “target nightmare.” IRT works to eliminate nightmares by first allowing the veteran to address, rather than void, content. IRT helps the veteran to develop a mastery of the event rather than being victimized by the past trauma. “Rehearsal” aspects program a new response, thus allowing restorative sleep. Krakow’s research showed that at a 30-month follow-up, 68 percent of the subjects were able to sustain reductions in frequency of target nightmares. The IRT-based dream approach is essentially consistent with the basic premise of Foa and Kozak in that writing down the nightmare is an exposure to the traumatic content of PTSD. Even so, veterans would find this the most difficult step. The challenge for what became known as “Dan’s cause” was to translate these inpatient protocols to an outpatient format. I began networking with other licensed professional counselors to obtain additional insight and support. Deb Breazzano, an LPC in the community, suggested a 90-day format to capture a full dream cycle and to quantify to each client not only reductions in nightmares but also the emergence of healing dreams. Veterans respond to group bonding, and trust is the currency exchanged among them. Therefore, a longer program would facilitate these bonds and allow for multiple approaches to address nightmares and dreaming. The content would be based in IRT and Jungian dream concepts, but the search was on for additional methods to beat the nightmares. According to a study led by Victor Spoormaker in 2003, lucid dreaming was also effective in reducing nightmare frequency and intensity. Lucid dreaming is essentially becoming aware that you are indeed dreaming while asleep and then enabling yourself to guide the dream. Evidence was mounting that a stepwise approach to treating nightmares would work, with one successful application setting the foundation for the next. The program’s goal now had moved beyond just eliminating nightmares to helping clients achieve emotional and developmental growth. During the course of developing the program, the agency that directed our clinic allowed me to train in Jungian dream analysis and supported a trip to Santa Fe, N.M., to hear Dr. Bessel van der Kolk speak on effective counseling skills for trauma. What he said — that an “effective trauma treatment must reset one’s limbic system” — became the keystone for my developing program. In effect, trauma is a sensorimotor process; according to Hobson, so is dreaming. So van der Kolk’s advice was simple yet profound: Treatment must provide an “action or escape” not present in the original trauma. Now self-educated in the process of dreaming, networked with other therapists, supported by my agency, well-versed in current research and professionally trained in the arts of therapy and hypnotherapy, I formed a new premise: All traumatic nightmares are rehearsals of the survival instinct. Van der Kolk affirmed that the only real change for clients would come by resetting their limbic systems with an action or escape, thus eliminating the need for a traumatic rehearsal through nightmare. Therefore, IRT and its follow-ups would author the original nightmare and then reauthor a new outcome. This would result in breaking the repetitive, traumatic cycle. There was finally an answer to Dan’s impassioned plea for help. Rewrite the nightmare with a new ending by providing action or escape. Laila Alsaffar teamed up with me to colead a men’s PTSD group at the clinic. Although it was too late to help Dan, we were nonetheless spurred on by Dan’s memory to help others. Dan was a big believer in the power of groups to heal, so it was altogether fitting that we were using a group format. We introduced veterans to basic dreaming concepts based on Hobson’s book and taught them how to develop sleep hygiene, practice relaxation, author their nightmare and its change, and apply reinforcing methods to turn the cessation of traumatic nightmares into real growth. At its end, we had developed a 13-week, self-contained program that employed most of the elements from a good anxiety reduction group. During the process, we discovered that nightmares are like a field full of thistles and thorns. IRT is akin to tilling that field. Lucid dreaming, Jungian concepts and relaxation techniques seed and fertilize the dense field, allowing it to transform into a sculpted garden. In developing the program, we also wrote a manual for clients (as well as a version for therapists) that contained worksheets, report forms, reading material, exercises and illustrations. The first segment of the treatment program is designed to build group trust, strengthen support skills and reduce anxiety by providing basic psychoeducation on the sleeping brain. Educating group members on sleep hygiene helped them to gain ownership of the process over the course of the combined treatment. This was achieved, in part, because each person in the program shared what he was learning in group with a significant other, thus reinforcing the process. Because they needed to overcome their tendency to avoid reminders of their individual traumas, the most critical juncture for the majority of the veterans was writing out their actual targeted nightmares. Most had worked to avoid this step for protracted periods of time before this therapy. The counselors encouraged each of the veterans to tackle his nightmare head-on, using each other and his family for support. Almost every one of the veterans reported how difficult the process of facing his torment was, yet nearly all of them experienced a reduction in nightmare frequency and intensity just before this phase, so they were encouraged to push through the echoes of fear imbedded in their memories. This step, combined with the “action-escape” rewrite of the nightmare, formed the middle or “core” of the combined treatment. The action-escape element restored personal control over what had been a feeling of powerlessness — in some cases, for decades. Using lucid dreaming and Jungian concepts, the last phase featured action-escape and the use of sculpting dreamed objects as enhancements to the treatment. Participants found this a more joyful task. As though they were now a blank canvas, these war veterans had a new chance to create joyful and healing experiences through their dreams. Some who had suffered even more profoundly from their disorder than Dan experienced a kind of spiritual awakening. Before the treatment, it was as if the war had stolen their souls. But the release of fear through the processing of their nightmares seemed to present them with a new freedom from their pasts. In the years that I practiced at the clinic, we helped approximately 80 veterans who were struggling with nightmares associated with PTSD. For the astute counselor willing to crack the books and enlist support, the potential is there for adapting workable therapies for many disorders faced by returning veterans. Wayne A. Hankammer is a licensed professional counselor living in Artesia, N.M. He is a critical incident stress management instructor and specialist for the Federal Law Enforcement Training Center. Contact him at whankammer@hotmail.com. Letters to the editor: ct@counseling.org. One of the long-standing debates in the counseling profession is whether the counseling process should be conceptualized scientifically or according to the assumptions of the humanities. 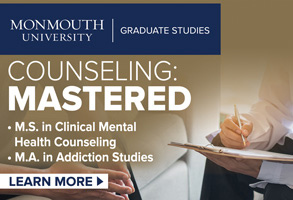 At this point in history, most counselors would probably agree that both scientific and humanistic ideologies should inform the practice of counseling. These scientific and humanities polarities can also be used to conceptualize the entire counseling profession, not just the counseling process. In this regard, I argue that contemporary counseling culture is largely structured by scientific assumptions that have had a detrimental impact on the profession. The purpose of this article, then, is twofold: to explore the consequences of grounding the counseling profession in the humanities such as literature, history and philosophy rather than science; and to demonstrate that this humanities vision is a better fit for the profession than the scientific one. Arguably, the historical relationship between scientific and humanities influences in the counseling profession can be characterized as a complex dialectical interplay, with each force offsetting and progressively defining the other. A reasonable way to conceptualize the humanities vision, then, is to identify key scientific ideological polarities and their humanities counterparts. It is a remarkable irony that contemporary counselor education tends to simplify, rather than complicate, human beings. Students often enter graduate school in awe of the sheer complexity of the human condition. Sadly, by the time they order their caps and gowns, these new professionals have been educationally indoctrinated to think of people in relatively simple terms: as technique-responsive clusters of symptoms. Of course, I am intentionally exaggerating the state of current counselor education to make my point. Remnants of human complexity certainly remain in graduate curricula. Nevertheless, I do not believe I am that far off the mark. Within counselor training programs, there exists a strong, creeping trend toward simplifying the human condition. I contend this simplification is a direct result of the influence of scientific ideology. To illustrate this point, consider the scholarly goals of a humanist, such as a literary scholar, in contrast to the goals of a biologist, who is a dedicated scientist. The literary scholar might spend the better part of an academic career devoted to a particular author, novel or even a single character. The goal of this humanities professional is to complicate, dimensionalize and enrich the subject matter, not simplify it. The biologist, on the other hand, seeks to whittle down the subject of study to its barest elements by progressively eliminating extraneous perspectives that do not meet the instrumental needs of scientific advancement. Given their respective professional goals, the biologist and the literary scholar have selected the proper ideological tools to advance their disciplines. Why should the counseling profession adopt a humanities ideology that complicates people rather than a scientific ideology that aims to simplify them? The brief answer (so plainly obvious it is remarkable that it is largely missed in contemporary counseling culture) is that people are, indeed, complex! To thoroughly adopt an ideology aimed at simplifying people is completely counter to everything that is known about the human condition. Specifically, the locus of human complexity resides in the subjective meaning systems that people construct. The undeniable truth that every human being has unique inner subjective experiences makes people extraordinarily complex. Science, however, is the sworn ideological enemy of subjectivity. Scientists use double-blind procedures and other methodological strategies in an attempt to eliminate the influence of subjective bias within their studies. For scientists, subjectivity is something to be rooted out so that the conclusions of their studies will be objective. This ideological stance is perfectly appropriate for chemists and physicists of course. Indeed, scientific investigation can also be an important tool in the humanities, as when chemical analysis is used to determine the age of historical documents. It is likewise vital for the counseling profession to use science as a tool, particularly in investigating the effectiveness of counseling interventions. Although the counseling profession absolutely should retain science as a tool, the simplifying, anti-subjectivist ideology that gave rise to this tool should not be allowed to overtake the profession. Reductive diagnostics, symptom-focused treatment planning and defining counselor education goals in terms of lists of competencies, techniques training and manualized counseling models are just a few of the many signs that an emphasis on subjective meaning systems is gradually being lost in the profession. The creeping spread of scientific ideology, and concomitant loss of a humanities perspective, is arguably responsible for this shift. Indeed, it is extraordinarily ironic that professionals who seek to understand the unique experiences of their clients would adopt an ideology aimed at eliminating the variable of subjectivity. How, though, should a humanities vision, which encourages notions of human complexity, be revived within the counseling profession? First, discussions of clients, in case conferences, classrooms and other forums, should emphasize subjective client meanings, not symptoms, family history of mental illness, reductive treatment plans or other supposed objective case data. In discussing a client, counselors should bear a closer resemblance to English professors talking about a literary character than to chemists describing the properties of a particular compound. Of course, clients are not fictional characters; they are real people in a state of psychological distress. Alleviating that distress involves a humanities-style immersion into the realm of human complexity, not a simplifying, scientific objectification of the case material. Second, counselor education programs should regularly teach and adopt qualitative research methodologies. Unlike quantitative research, which is aimed at finding singular, objective truths uncontaminated by subjectivity, qualitative methods are designed to illuminate the multiple strata of meaning that underlie human behavior. Quantitative research will always be a useful tool for counselors. However, a humanities vision for the profession is best served by investigative methods that explore subjectivity, not ones that eschew it. Third, counselors should take a critical stance toward the medical model of counseling rather than uncritically participating in it. The complexities of human relating, which are integral to the counseling process, have been ideologically marginalized by the medical model of people as collections of symptoms to be eradicated. 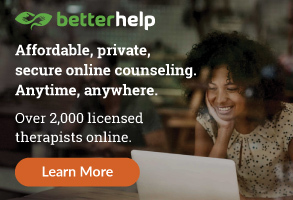 Despite its gross inconsistencies with the type of help that counselors provide, medical model training has increasingly been integrated into counselor education programs, and counselors have actively sought reimbursement from third parties that require the use of a medical model. Whether a counselor decides to participate in the medical model is a personal, ethical decision. However, counselor education programs should prepare students to think critically about this model so that it is not accepted without question once students become practitioners. Consider philosophers as representatives of a humanities profession. Critical inquiry, active debates in the literature and the consideration of multiple perspectives all contribute to enriching the philosophical body of knowledge. Philosophers do not expect that their debates will somehow march them forward to singular truth, with all philosophers one day arriving at unified agreement concerning philosophical topics. Instead, an ever-increasing multiplicity of perspectives is itself the end product, not a means to some greater end. Alternatively, consider a medical researcher as an example of a professional who operates within a scientific ideology. Differences of opinion about the cause of a particular disease may exist among medical researchers. This multiplicity of perspectives is considered an unfortunate means to the greater end of finding the singular truth about what actually causes the disease. I maintain the current intellectual climate within the counseling profession bears a much closer resemblance to scientific ideological assumptions, which regard multiple perspectives as a problem to be resolved, than it does to the intellectual stance of the humanities, which embraces multiple perspectives as an end in itself. Witness the general lack of public debate over ideological positions among academic counselors (both in the counseling literature and within academic settings). This is in stark contrast to the humanities, wherein active debate, both in literature and academic settings, is prized as a vital part of professional culture. Indeed, counselor educators have accepted oversight from an organization (the Council for Accreditation of Counseling and Related Educational Programs) that dictates the proper topics to teach and suitable perspectives to adopt. Widespread acceptance of this ideological police force is compelling evidence that counseling culture has become increasingly intolerant of multiple perspectives. This intolerance is not limited to academia, though. Practicing counselors increasingly use standardized treatments for particular constellations of symptoms. One disturbing sign of this trend is the proliferation over of the past decade of treatment planning guides, which detail precise, concrete treatments and goals for particular categories of clients. This unfortunate development, which has been fortified at the academic level by the “empirically supported treatment” and “best practices” movements, is as stifling to counselors as the demand to use only paint-by-numbers kits would be to artists. Furthermore, counselors are being told not only how to practice but who to be. Those who promote a unified identity for the counseling profession have attempted to outline the proper identity for professional counselors to adopt. Counselors who wish to expand their horizons can make use of continuing education, but only if an accrediting body has approved the content of the continuing education experience. To become a counselor nowadays, one must agree to don an ideological straitjacket. How, then, can the culture of counseling be changed so that multiple perspectives will be encouraged? First, active debate should be promoted in academia and in the counseling literature. One of the best ways to foster an appreciation for multiple perspectives is for professionals who advocate different points of view to engage in civil public debates (both in presentations and in the literature). A public airing of differences clarifies ideas, elucidates the nuances of systems of thought, challenges professionals to think in novel ways, generates new perspectives and, perhaps most important, demonstrates that there are multiple legitimate ways to understand the subject matter of counseling. Second, and related to the first point, theoretical dogmatism should be discouraged at all levels of the counseling profession. Students should be taught that counseling consists of a variety of useful perspectives. No one perspective should be idealized or used for all purposes. Similarly, practicing counselors should view counseling orientations as problem-solving tools, not representations of ultimate truths about human nature. Third, continuing education should not be professionally mandated. As an analogy, imagine if authors of fiction were required to read a list of approved works before they were allowed to write. If a humanities atmosphere is to be created in counseling culture, practicing counselors, not bureaucrats, should determine the types of postgraduate educational experiences that best suit their needs. It is a shocking assault on intellectual freedom and growth, for example, when only one article in an issue of a particular journal is officially sanctioned as being eligible for continuing education credit. This implies that all other readings are somehow less intellectually worthy of professional attention. 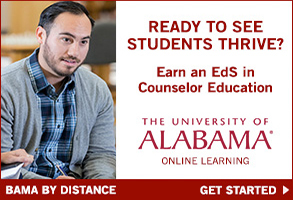 The need for continuing education should be an internalized ethic instilled in counseling students during graduate school, not an external mandate that limits and controls the types of educational experiences that counselors pursue. Fourth, professional limitations should not be placed on counselor identity. Any proposal for a unified professional identity is, by definition, also a proposal that negates certain types of identity possibilities. 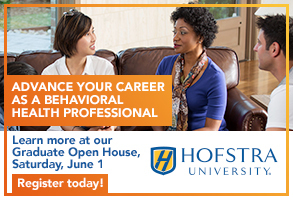 Counselors should be encouraged to determine their own professional identities, which may be based on their personal temperament, local demands, orientation to their work or any other considerations they deem relevant to their professional life. Science is a vital tool that will always be a necessary component of counseling inquiry. However, the counseling profession should be ideologically grounded in the humanities, not science. The scientific ideals of parsimony, singular truth and objectivity cannot possibly facilitate the evolution of a profession that historically has made its greatest advances by embracing complexity, multiple meaning systems and creative visions of human nature. Discussions of clients should emphasize subjective client meanings, not objective data. Qualitative research should become a standard method of inquiry. The medical model should be subjected to more intense critical scrutiny. Active debate over perspectives should be professionally encouraged. Theoretical dogmatism should be discouraged. Continuing education requirements should be abolished or radically revised. Professional identity should be self-determined, not professionally mandated. Of course, there are other ways to encourage the spread of a humanities vision in the counseling profession (abolishing the infantilizing and draconian practice of mandated supervision, for instance). The seven recommendations listed above seem like a reasonable place to start, however. In keeping with a humanities vision, I sincerely hope these recommendations will engender controversy and debate. James T. Hansen is a professor and coordinator of the Mental Health Specialization in the Oakland University Department of Counseling. Contact him at jthansen@oakland.edu. This is an abbreviated version of an article that will be the centerpiece of a future issue of The Journal of Humanistic Counseling, Education and Development. In that issue, authors will contribute counterpoints to the positions taken in this article, and James T. Hansen will contribute response articles to those counterpoints, thereby creating an active debate in the literature. Refer to c-ahead.com for links to the complete article and instructions for submitting counterpoint articles. October is National Bullying Prevention Month. I won’t say that we are “celebrating” anti-bullying because that sounds strange to me. However, if counseling professionals and the public can bring more awareness to the tragedy of kids being bullied, then count me as a supporter of this important monthlong event. A few months back, shortly before our nation’s children returned to school, Assistant Deputy Secretary of Education Kevin Jennings, who heads the Office of Safe and Drug-Free Schools, convened a meeting of advocacy groups and other federal agencies for a national anti-bullying summit. In addition to an address from U.S. Education Secretary Arne Duncan, presentations were given both by policymakers and those who are on the front lines to battle bullying each and every day. The group representing transportation directors noted that there are 600,000 children eligible to ride a school bus each day in the United States, yet only 400,000 actually take the bus. Although some ride their bikes or walk to school, it seems many are simply afraid of boarding a bus because of the very real risk of being taunted, teased or even physically assaulted. Other professional groups provided equally astounding pieces of information. The American Counseling Association was invited to participate in this summit, and we were able to network with many other organizations and federal agencies. Also attending was one of our divisions, the American School Counselor Association, as well as our colleagues who represent school psychologists and school social workers. The good news is that the summit provided a forum for many of us to come together, recommit ourselves to addressing the epidemic of bullying and learn more about what the federal government is doing about the situation. For example, the U.S. Department of Education has launched a pilot program that provides $27 million for a Safe and Supportive Schools (S3) grant program. I was especially impressed with Jennings’ invitation to a group of teens who represented “their generation” in regard to this topic. Some were students who have been bullied; others were involved in running programs to address bullying at a peer-to-peer level. The students were provided the same forum in which to speak as the federal agencies and professional organizations. This really is something that must be fought at various levels, and the summit was an excellent example of how this can be done. For those of you who work with youth, I know you must constantly deal with students who are bullied, as well as those who do the bullying. I hope you will consider the resources ACA provides to help you in your work with kids. It seems to me that other professionals in the school community, including teachers, coaches and administrators, are in need of the expertise and support you can provide. Because it is National Bullying Prevention Month, perhaps you can let those in your community know about the expertise you possess. You may also wish to visit bullyinginfo.org, a website the Department of Education set up to serve as a “one-stop” site for resources on this topic. I think professional counselors need to help parents and others in the community learn about the effects of bullying, while providing information and support to prevent its spread. What can ACA provide to help you become more effective as an anti-bullying advocate? Feel free to let me know. I really do read all of your e-mails, and I appreciate your comments. As always, I hope you will contact me with any comments, questions or suggestions that you might have. Please contact me via e-mail at ryep@counseling.org or by phone at 800.347.6647 ext. 231. I have a question for you to ponder: How do we develop depth with regard to our character, insight and empathy? Is it something that is part of our genetic makeup? Is it based on our life experiences? Or is it a combination of these? As a parent, this is a question I have contemplated for many years. My husband and I have engaged in discussions about how our six children were developing and what kind of person we believed each would grow up to be. Would they be smart? Would they be insightful and empathic? Would they have depth? I remember teaching a counseling course and talking about issues of depth. But even figuring out how to define this construct is challenging. Still, at times we find ourselves saying, "Well, that person doesn’t have much depth" or "He/she is really a very shallow person." What exactly does that mean? Going back to my ponderings regarding my children for a moment, I used to think, "How could they have much depth or empathic understanding when their lives have been so privileged? They have never had to struggle, wondering about their housing or food. They did not grow up in the South during the fifties, sixties or seventies when we struggled for equal rights. Will they really understand the struggle of African Americans in this country? How can they possibly appreciate these issues, not having had these experiences themselves?" All of these questions floated through my head as I stood there thinking about their development. This month, our cover story focuses on how we work effectively with challenging clients, and the topic got me to thinking again about how we grow as professionals. How did I develop the skills and comfort level to work with a diverse population as a professional? In answer to my own question, I kept coming back to the challenges I faced in my professional development. What aided in my growth was taking risks, trying something new or working with a client/student/patient who required me to stretch beyond what I had done previously. Some of you may remember the acronym YAVIS, which, when I was originally trained as a counselor, was used to describe a client who was young, attractive, verbal, intelligent and social. The presumption was that everyone would want to work with YAVIS clients. As I thought about this, however, I concluded that this type of client would provide very limited growth on my part. They were purportedly insightful enough to work through the process very successfully. Of course, that was a major assumption on my part. Nonetheless, they were presented as the ideal. But what about the other clients? The ones supposedly not so desirable? If you look back on some of your greatest accomplishments as a professional, what do you see? I see the times when I had to struggle and work a little harder for success. Those challenges are what have assured me that I am here for a purpose and really making a difference in people’s lives. Those challenges have caused me to push myself to get better and to take risks. We must do this as a profession as well. In my very first month as president of the American Counseling Association, I was challenged to do something I had never done before. If you remember, there was a firestorm of e-mails and major network broadcasts, including on CNN, discussing developments at Augusta State University and Eastern Michigan University related to nondiscriminatory practices in the counseling profession. Multiple news outlets asked ACA to respond to these cases in connection with the ACA Code of Ethics. I was also asked to give a radio interview related to this issue. I immediately understood the gravity of this request and my responsibility to ACA and its members. It was clear that I would not just be representing my views but responding as president of ACA. I admit, I was shaken. I could have asked colleagues who were already used to conducting these types of interviews — who had a certain level of comfort and expertise in doing them — to handle this one. But after conversing with ACA staff, I decided the only way I would become comfortable with this challenge was by doing it. And believe me, it was a challenge. I could hardly get a word in edgewise (as my grandmother would say) with the interviewer, but I did it. I survived the interview, and it actually turned out very well. Now I realize that I need more training on media presentations such as these and will be even better prepared for the next opportunity. As a profession, we are currently facing the challenge of how to effectively serve all of our members while ensuring that everyone feels valued and that all voices have a place to be heard. We may not always agree, but it is critical that we disagree agreeably. This is where our growth, our depth, occurs as a profession. We have to be engaged in healthy dialogue to identify areas of improvement and not take it as a personal attack when someone disagrees with us. We are professional counselors, and if we cannot communicate effectively, shame on us. This is who we are. We work through problems. We work through challenges. Rarely do we have individuals coming to us because they are so happy they just don’t know what to do with themselves. Instead, they bring problems or issues they need assistance in solving. We must do the same professionally as we move to the deeper depths of professionalism and organizational development. It will not be easy, and it is not for the "fair-weather" counselor.